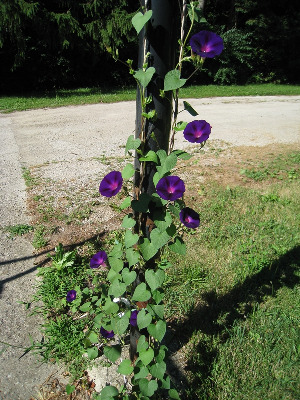 A tropical American annual vine, popular in cultivation and occasionally escaped to fields, disturbed places, roadsides, and weedy thickets. First collected in 1888 in Wayne Co. The leaves are usually not lobed; plants vary in flower color from white to pink to purple, sometimes with all colors present in a population. MICHIGAN FLORA ONLINE. A. A. Reznicek, E. G. Voss, & B. S. Walters. February 2011. University of Michigan. Web. April 21, 2019. https://michiganflora.net/species.aspx?id=861.